That’s right ladies and gentlemen 2 pieces in 1 day. See my earlier post for today’s other entry. I started working on this one earlier in the week to add to my friends/family section. So here she is, in all her glory lol my sister. 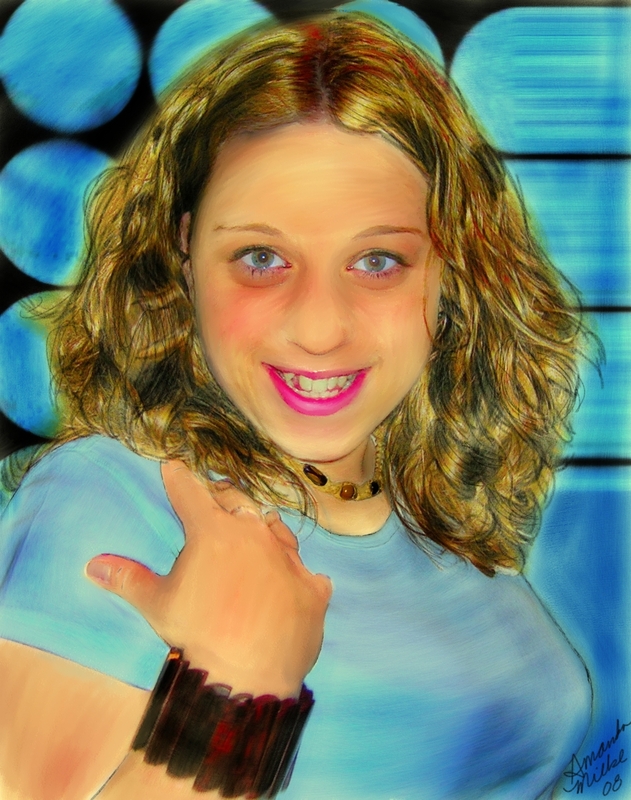 This entry was posted in Wacom/Tablet and tagged 2008, blue, digital, Jen, milke, portrait, sister, trendy, Wacom, woman on January 20, 2008 by Amanda. yes it was taken at the old apartment. J said you looked scary lol I like it though. Well I love the picture but I have to say I have never seen your sisters lips that color. She does not even wear lipstick. Other than that It is a perfect likeness of her. Well done love.